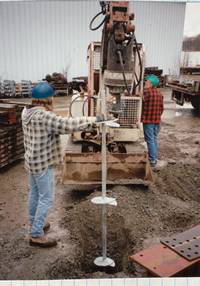 We have a unique variety of tension anchors and pilings available from 2 kip to 400 kip to meet your site specific requirements. These are pre-engineered to achieve design parameters. These are easily installed with a minimum amount of equipment and labour. There is no disturbance to adjoining buildings and properties. We have a wide variety of products available for the commercial customer. These can be used for new or repair-type construction. 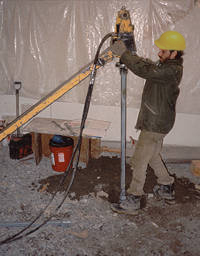 All our installers are CHANCE® HELICAL PIER® Foundation Systems factory certified.